A major £1.5bn contract opportunity for the construction sector to deliver new build housing is about to be launched in Scotland. Scotland Excel will publish the Invitation to Participate (ITP) for its four-year New Build Residential Construction Framework – the organisation’s largest ever contract opportunity – later this month on 30 November. 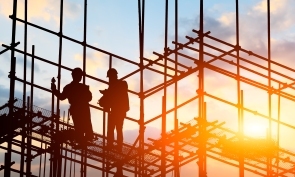 The Centre of Procurement Expertise has joined forces with 11 Scottish councils to implement the framework, which will enable contracts for housing developments to be formed up until summer 2023. Hugh Carr, Head of Strategic Procurement at Scotland Excel said: “This is a major contract opportunity for the Scottish and UK construction sectors over the next four years for the delivery of new public sector social housing. The framework lotting structure has been specifically designed to open up opportunities for SMEs to participate, as well as large companies. Companies can tender to build small projects of 1-15 properties with the choice of ‘build only’ or ‘design and build’ depending on their capabilities, and there are further lots for 16-25, 26-40 and 40+ properties. Companies can also bid to deliver projects nationally or submit offers for specific council areas. Hugh added: “We have engaged extensively with the construction sector across Scotland to ensure we firmly understand their business needs. The framework has been designed around a commercial model that is aligned to the industry’s typical pricing structure, and we are using standard templates and SBCC terms and conditions to make it easy for contractors to bid for work packages once the framework is in place. The Scotland Excel New Build Residential Construction Framework ITP will be published on 30 November 2018 and will close on 11 January 2019. The framework is due to go live in August 2019.